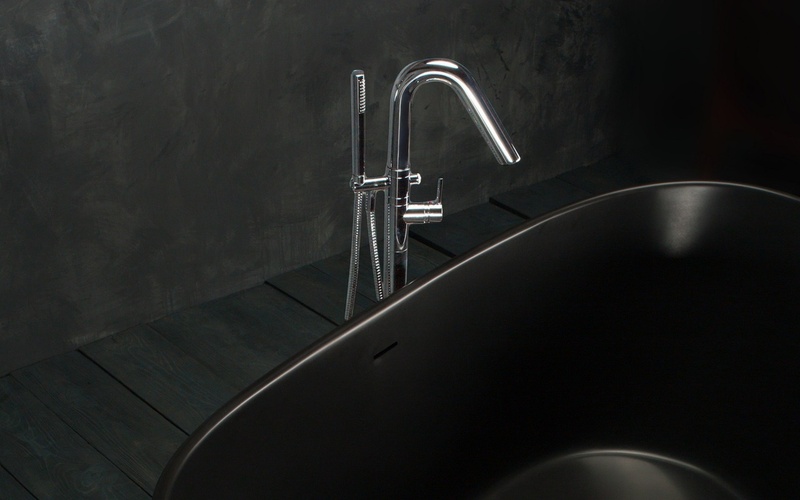 Style meets practicality in the modern and sleek Colonna faucet. 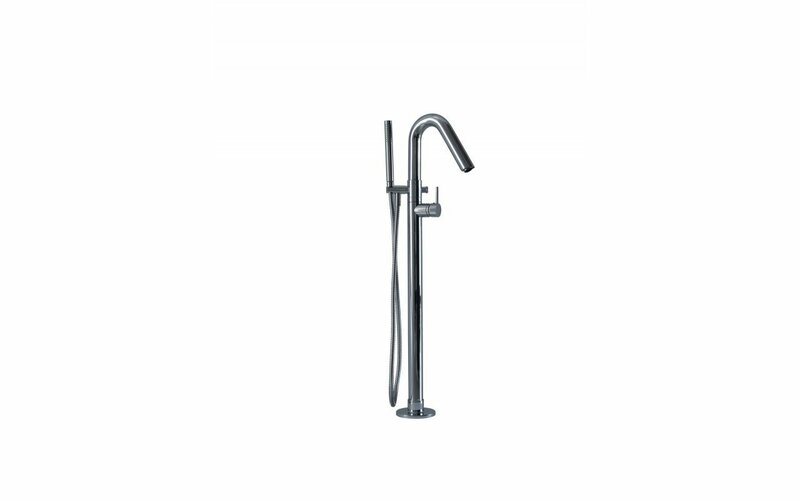 Designed in Italy, the floor mounted tub filler rises gracefully in a column from the floor before gently curving at its wide peak. Standing proud as the tallest floor mounted faucet in our collection, the Colonna blends seamlessly with any modern bathtub, enhanced by an impressive chrome or brushed nickel color selection. The faucet features an elegant handheld shower attachment that offers targeted cleaning. Incidentally, we have a range of Aquatica freestanding bathtubs that go perfectly with it. Flow rate of 4.75 GPM (18 LPM) at a water pressure of 3 bars.